The quarter horse is a full-sized horse which is named for its ability to run a quarter of mile faster than any other breeds of horses in the world. There are several breeds of quarter horses for sale. These are used to compete in several events such as barrel racing, western riding, team roping and as performers in horse shows as well. If you have quarter horses for sale and looking for prospective buyers, then you can take advantage of the internet. There are many equine sites on the internet with which you can register. Some of them are free and some are paid for horse listings. The advantages of registering with the equine sites are that it is the easiest and the fastest way, popular sites have a number of visitors every day. You must include some key details in your quarter horses for sale ad. 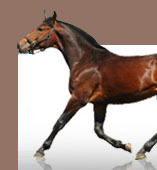 Some of these are horse’s name, its breed, photos and/or videos of the horse, description of the horse’s appearance and health, information regarding any training the horse has had, any shows or events in which the horse had participated, price of the horse and your complete contact information. Internet is widely being used by the horse buyers, which gives you limitless audience if your horse is for sale online.